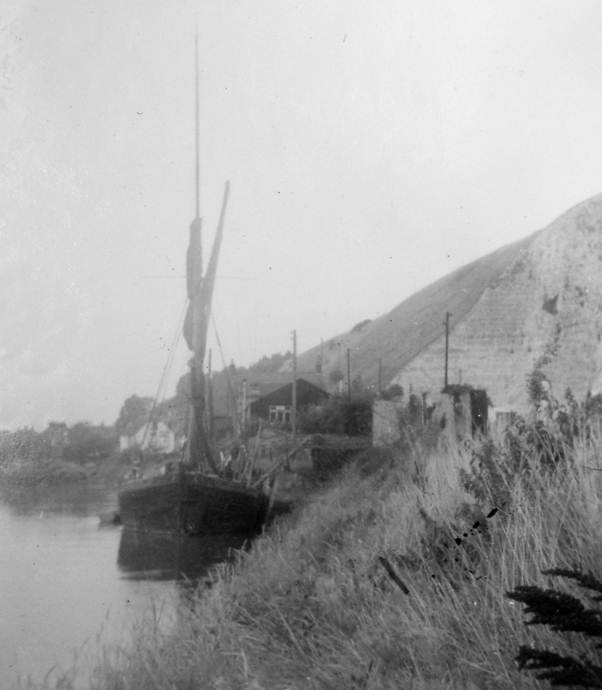 Piddinghoe is on the west bank of the tidal River Ouse, between Newhaven and Seaford. 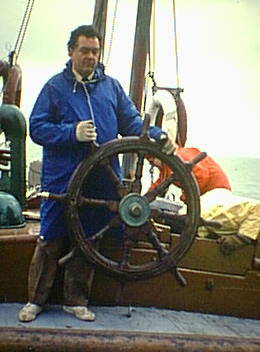 This was dad’s circular frame. He had a camera which used 120 film. This took big negatives which could be contact printed. Dad always did his own photo processing. We have a wonderful scene here. The small boy was my brother who died as a young man in 1980. It is always good to be reminded of him. 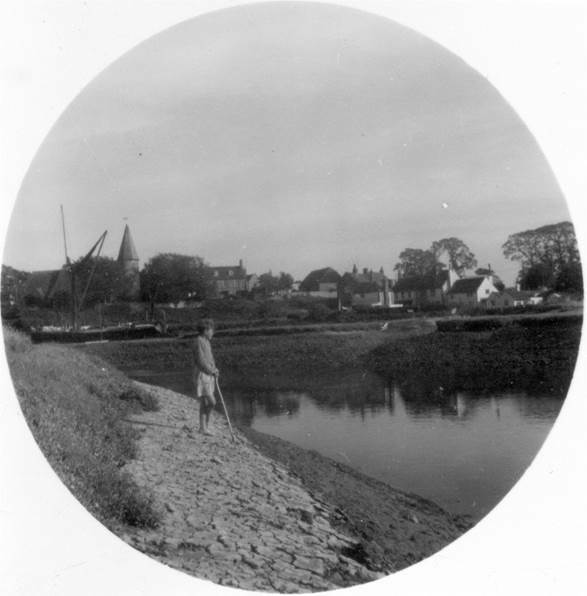 Behind him is the village with the church with the round tower. 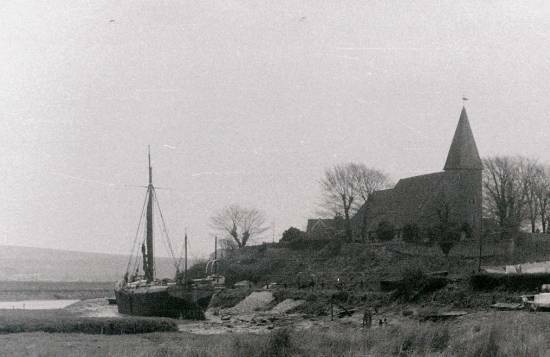 We were always brought up to know that the round tower was very unusual in Sussex. 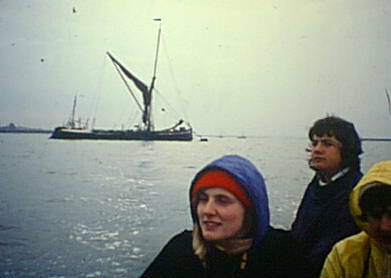 In front of the church is what I feel sure my dad was keen to photograph – a sailing barge. I think this photo dates from 1957. 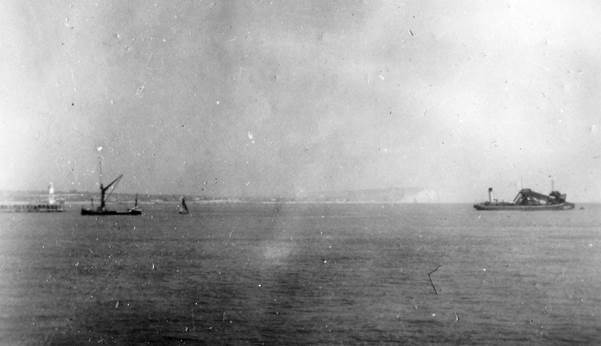 Now interestingly, father in law took a photo at Piddinghoe too – probably a couple or more years later. 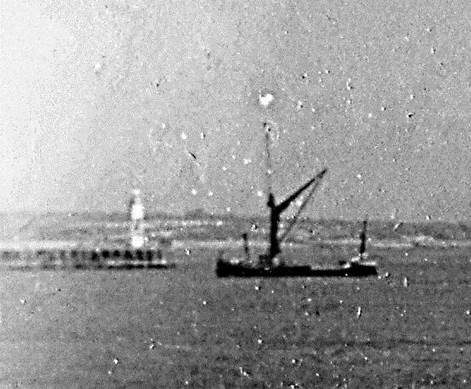 Is that the same barge? I’m not sure.